Tears are necessary for maintaining the health of the surface of the eye and for providing clear vision. When your tears can’t provide the adequate moisture your eyes need, your eyes may sting, burn or feel uncomfortable. This is known as dry eye syndrome. Because there are many causes for dry eye, the best way to treat dry eyes is a comprehensive eye exam with our optometrist. 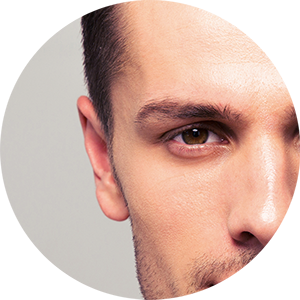 We offer a variety of treatments, tailored to alleviate your specific cause of dry eyes including radio frequency, IPL (also known as photo rejuvenation), punctal plugs, as well as others. Since we offer a wide variety of treatments of dry eyes, our optometrist is happy to explain any procedure you are interested in and see if it is the best treatment for you. 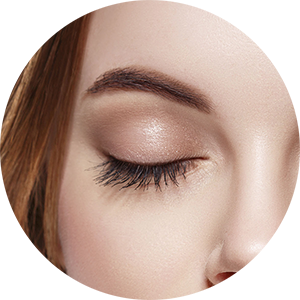 Intense Pulsed Light (IPL) therapy improves the meibomian gland’s function in the eye. The light acts as a powerful warm compress to liquefy the secretions plugging up the oil-secreting meibomian glands. IPL therapy is recommended for four to six treatments spaced one month apart. Our practice has been featured in the press for treating dry eye syndrome with ILP. Artificial tears can be purchased without a prescription or products such as RESTASIS®, can be prescribed to improve tear function. How you see the world affects everything you do. Being dependent on glasses and contacts does not suit a busy lifestyle. Both iLASIK and KAMRA Inlay have liberated and transformed the lives of millions of patients. LASIK: Dr. Fox specializes in iLASIK surgery, the most advanced laser vision correction surgery available, and is considered a national industry leader with over 40,000 laser and vision correction procedures performed over 25 years. KAMRA: Dr. Fox has been selected by AcuFocus (the manufacturers of the KAMRA inlay) to introduce this breakthrough technology to correct near vision without the need of reading glasses. The KAMRA is an ultra-thin biocompatible ring that is placed into the cornea of your non-dominant eye to reverse the effects of near vision. KAMRA corrects both intermediate and near vision. KAMRA doesn't have an adverse effect on uncorrected distance vision. KAMRA doesn't require modification years later. Diabetic eye disease, or diabetic retinopathy, is a leading cause of blindness in adults and is caused by changes in the blood vessels of the retina (a light-sensitive tissue at the back of the eye necessary for good vision). In some cases, blood vessels may swell and leak fluid and in others abnormal new blood vessels grow on the surface of the retina. Glaucoma causes damage to your eye’s optic nerve and is a leading cause of blindness. Damage to the optic nerve may be due to rising fluid pressure inside the eyes. Glaucoma tends to be inherited and may not show up until later in life. If left untreated, glaucoma can cause total permanent blindness within a few years. Our comprehensive eye exam includes a check for glaucoma, which is a condition that affects your optic nerve or the nerve that connects your eye to your brain. Thyroid eye disease, also known as Graves disease, occurs when an overproduction of hormones is produced in the thyroid (hyperthyroidism). Approximately 30 percent of people with the disease show symptoms related to the eye. The most apparent symptoms are bulging eyes and inflamed eyes. Omni Aesthetic’s comprehensive eye exam includes looking for symptoms of Graves disease and can help ensure the correct treatment is given. About 2 of every 3 people with HIV or AIDS develop eye problems like infections, bleeding in the retina, and detachment of the retina. HIV breaks down the body’s immune system causing all areas of the body to be susceptible to infections, including the eye. It's not uncommon for HIV patients with low immunity (T cells less than 100) to get eye infections. Our staff is trained specifically to identify any of these problems; fortunately, these problems/infections are often treatable if diagnosed soon enough. Presbyopia is a common age-related vision condition which occurs when the lens of your eye loses its flexibility making it difficult to focus on objects up close. This is the reason that reading glasses become necessary in most people over the age of 40. If you are producing too many tears, there are many reasons for the actual cause. The main two causes are either making too many tears or improper drainage of tears. Tearing problems may be caused by an obstruction in the tear duct (lacrimal obstruction). 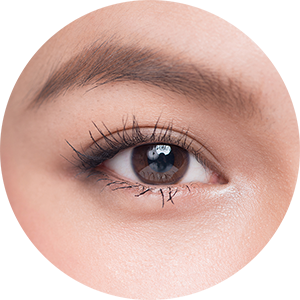 Tears become trapped within the sac which may become infected, causing a painful swelling in the inner corner of the eyelid.